It was a little bit backwards for the venerable old James Bond franchise to announce a release date for the next movie, which is what happened yesterday, but to not have anybody locked in to play James Bond. Daniel Craig was pretty adamant about not returning after he completed Spectre, but recent reports were that he was closer than ever to coming back. And now today it appears to be official. The New York Times says that Craig will put on his finest suit and play 007 again, with their sources calling it a "done deal." He'll be joined by longtime franchise scribes Neal Purvis and Robert Wade, and suddenly all feels right with James Bond again...doesn't it? Well, there's still one glaring omission, and that's a director. With Sam Mendes gone that role has yet to be filled, and we have to expect that his replacement will be named shortly. 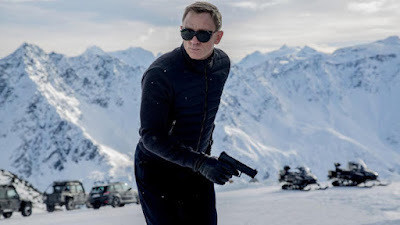 Bond 25, which will hopefully have a title soon, opens November 8th 2019.